Edward Russel, Earl of Orford', 1775. 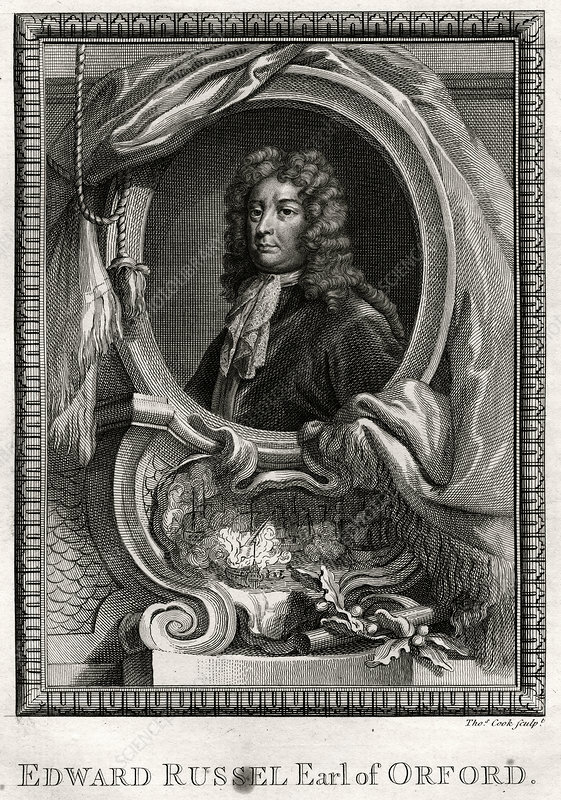 Russell (1653-1727) was the First Lord of the Admiralty under King William III. A plate from The Copper-Plate Magazine or A Monthly Treasure, London, 1775. Artist: Thomas Cook.